Blocked Drains Littlehampton? Need emergency Plumbers Littlehampton? Need Drain Repair LittleHampton? Need A Drain Survey In Littlehampton? Require Gutter cleaning Littlehampton? If you need an emergency plumber in Littlehampton or your blocked drains cleared fast then call DrainBoss Littlehampton. We offer a 24 hour service for blocked drains, with all repairs undertaken, and emergency plumbing work and gutter cleaning in Littlehampton and surrounding areas. Call us now on Littlehampton 01903 331789 or 07772 535248. Save Money with DrainBoss Plumbing and Drainage Littlehampton! 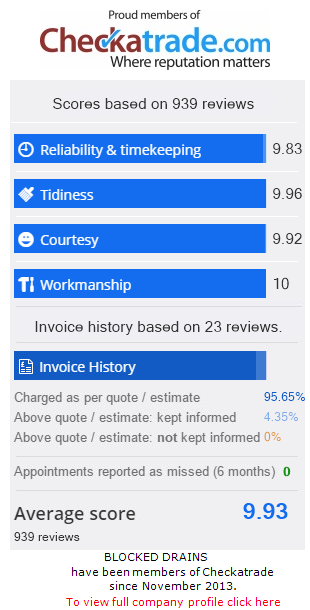 We are an independent, Littlehampton drain and plumbing company offering a courteous and personal service and because we are not a franchise we can offer favourable prices as we have no third parties to pay. We also charge a set price with no call out fee, so you know what you will pay before we start work. All our staff are security-vetted and professionally trained to City & Guilds accreditation and we work to the highest health and safety standards in the industry. Customer service is unrivalled which is reflected in details like our engineers wearing shoe covers before entering your home or business premises. All customers receive the best possible service and complete peace of mind when they call DrainBoss. We service household and commercial customers, as well as contracts for hotels, letting agents, restaurants, property management companies, clubs and pubs, councils, NHS, Councils, insurance companies and offices. Call us now and see how our level of expertise, coupled with an unmatched focus on customer service, sets DrainBoss apart from others in the industry. Tel: 01903 331789 or 07772 535248. DrainBoss technicians are specialist gutters cleaners in Littlehampton. We are fully equipped with the latest gutter vacuum systems. These are a ladder-less gutter cleaning system giving a much safer service and can clean your gutters more effectively and efficiently. As a result we give our customers excellent service and value for money. If left blocked, gutters will overflow and may cause brickwork damage through water ingress and may cause problems to a property’s foundation getting water logged. For clearance of blocked drains, Emergency plumbers, and gutter cleaning in Littlehampton call DrainBoss Plumbing and Drainage now on 01903 331789 or 07772 535248. Our plumbers and drain specialists are standing by for your call!